What do we mean by behavior? The thing your application does. How should the application function? How do objects and functions interact? Did we meet our application/code expectations? 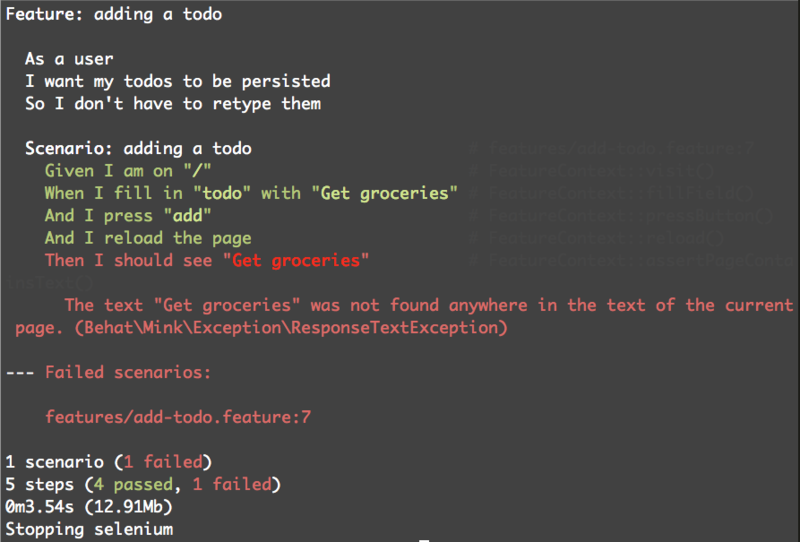 An easy to use BDD/TDD tool. Useful for testing units, libraries, and apps! A BDD framework for PHP to help you test business expectations. Given I have a done todo "Get groceries"
When I am on "/"
Great for acceptance tests, planning, and testing business expectations. Browser emulation for PHP. 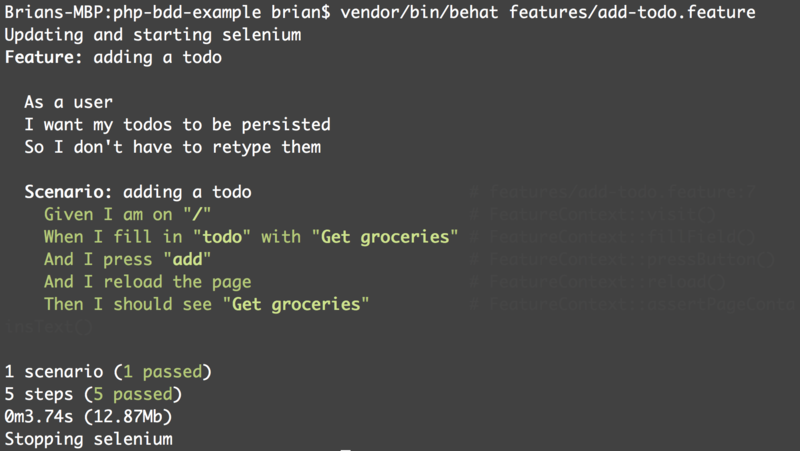 The Mink extension for Behat is great for automating application acceptance tests that use Selenium WebDriver. In an ideal world, we gather around this acceptance criteria during planning and write testable acceptance criteria with stakeholders. We can translate our user stories into automated acceptance tests with Behat! 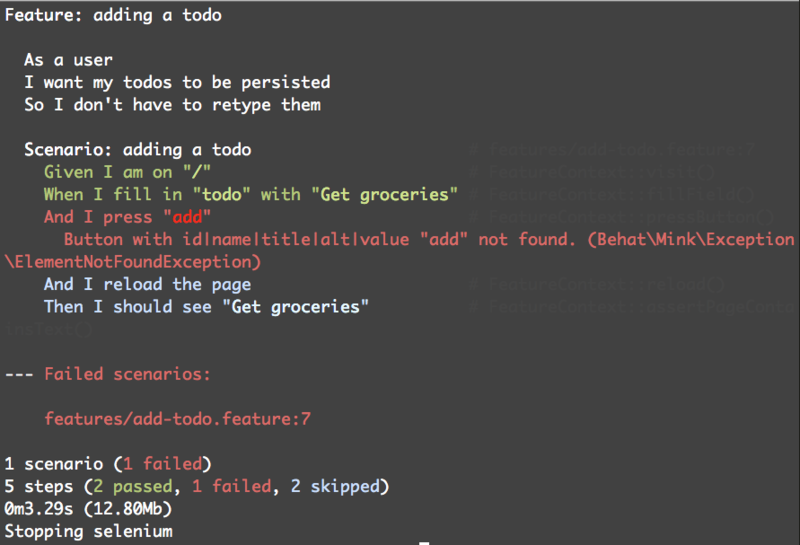 Then I should see "Todos"
When I fill in "todo" with "Get groceries"
Then I should see "Get groceries"
We can pass that step! We've started our acceptance test cadence. However - we need to come to terms with reality: A single index.php probably won't cut it. We need to start writing real code. The decision has been made to use a framework for the code behind the features. We happen to like Silex. 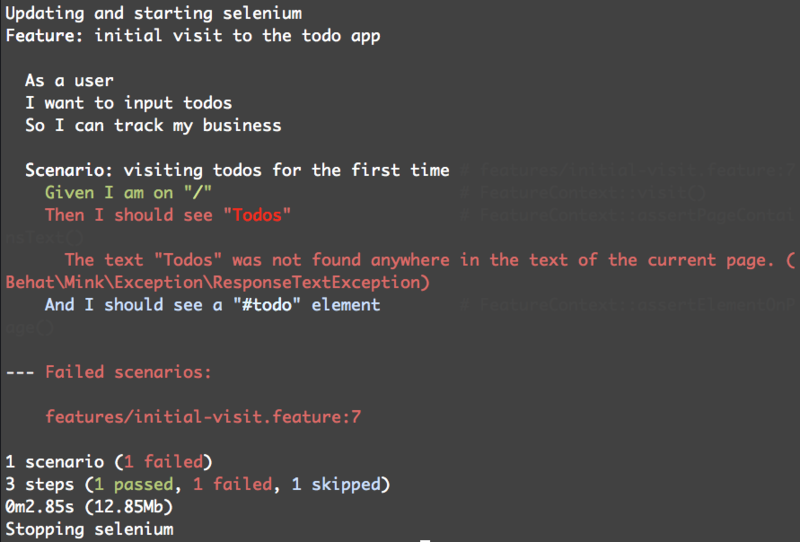 We need to start writing code to support the features of our todo application. We are at a point where we want to pursue BDD at the unit level. // what is our behavior? Plugins are installed like any other package, and are included via the peridot.php file contained in the project root. 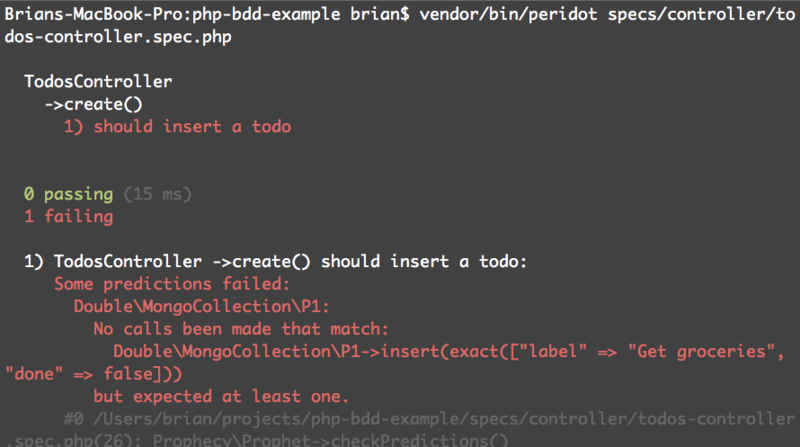 This plugin adds Prophecy functionality to our specs. * text from input to a list element. 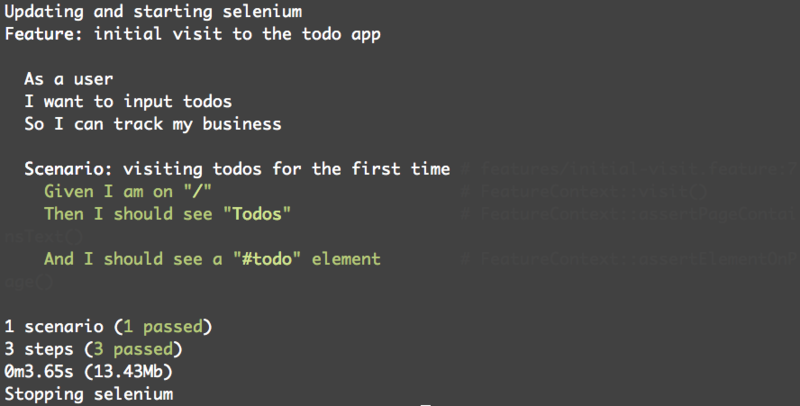 How Silex works is beyond the scope of this talk, but if you want to refer to the todo app to see how a controller is tied to a route, take a look at the app file. A lot of behavior, especially for APIs, ends up outside of the context of a controller - usually in the form of middleware. This is a good thing, especially when it is repeated everywhere.